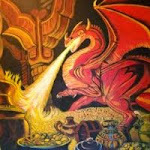 Questo sontuoso set include una replica della rarissima edizione de The Hobbit ed è l'unica edizione in cui è possibile leggere la versione originale della storia prima Tolkien la ri-editasse facendola diventare quella che poi sarebbe stata amata dai lettori fin dal 1951. The Hobbit fu pubblicato il 21 Settembre 1937 con una tiratura di 1500 copie. Con un bellissimo design della copertina, con dozzine di illustrazioni in bianco e nero e due mappe in rosso e nero disegnate dall'autore stesso. 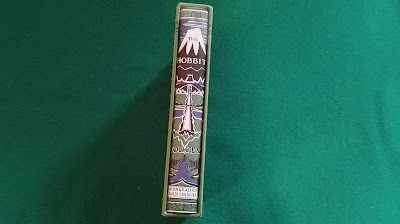 The Hobbit was published on 21 September 1937, with a print run of 1,500 copies. With a beautiful cover design, nearly a dozen black & white illustrations and two black & red maps by the author himself, the book proved to be popular and was reprinted shortly afterwards. History was already being made. 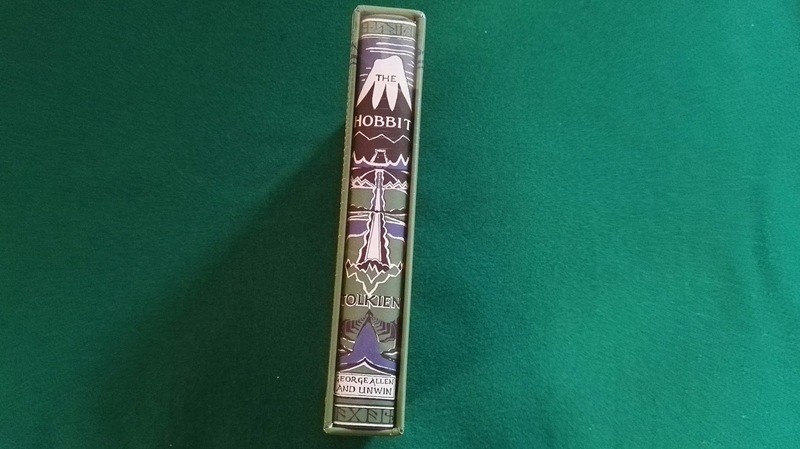 The scarcity of the first edition has resulted in copies commanding huge prices, way beyond the reach of most Tolkien fans. In addition, subsequent changes to the text – particularly those to chapter 5, when Tolkien decided in 1947 to revise the text to bring it better into accord with events as they were developing in its ‘sequel’, The Lord of the Rings - mean that the opportunity to read the book in its original form and format has become quite difficult. This special printing reprints the first edition, so that readers of all ages – not just ‘children between the ages of 5 and 9’, as Rayner Unwin famously declared in his report on the original submission – can finally enjoy Tolkien’s story as it originally appeared.